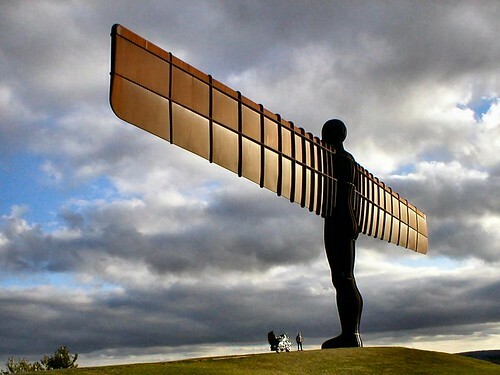 Angel of The North - A steel sculpture located in Gateshead, England is the World's widest sculpture. 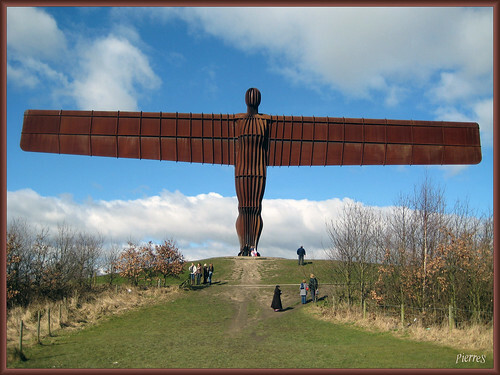 It is also World's largest angel sculpture and is amongst one of the largest sculptures in the World. 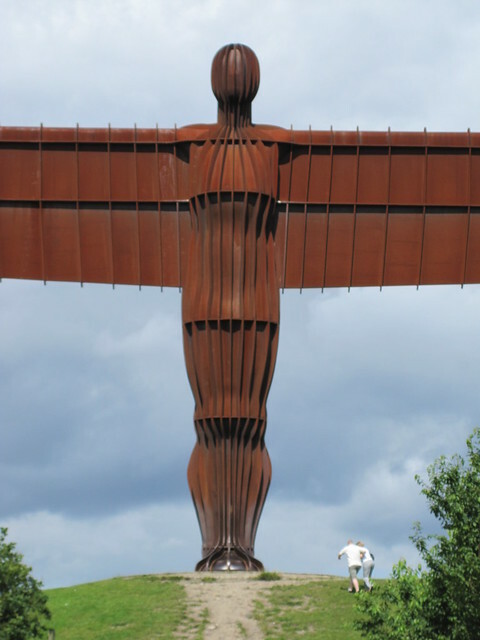 The sculpture which depicts a faceless angel with outstretched wings was designed by Antony Gormley. 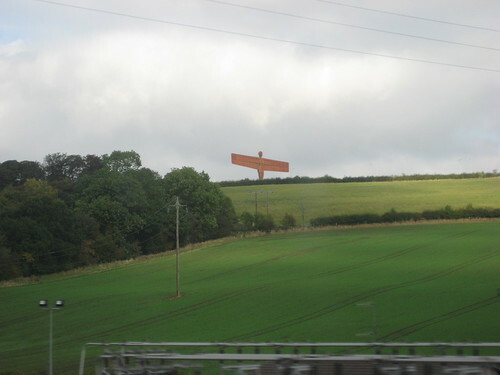 The sculpture stands on a grassy mound and has a height of 20 metres (66 ft). 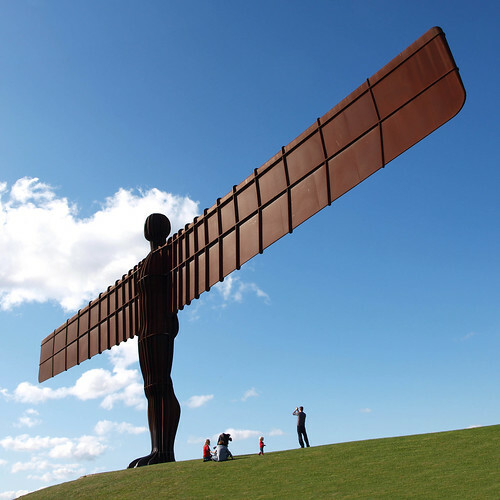 Its wings, which are slightly bent inside to give a sense of embrace, measure 54 metres (177 ft) across - almost as large as those of a Jumbo jet. Since it offers a large surface area to the winds, it has been designed to withstand hurricane force winds of speeds upto 160 kmph (100 mph) and has been anchored by pile foundation to the rock 20 metres (66 feet) below. 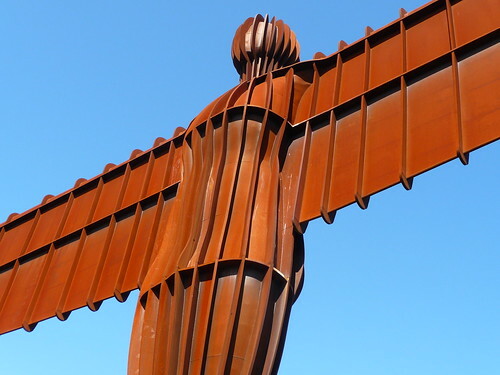 Made from weather resistant COR-TEN steel, it weighs 150 tonnes (100 tonnes body + 50 tonnes wings) and will reportedly last for more than 100 years. Opened to public in 1998, the art work took 4 years to complete at a cost of GBP 800,000. Viewed by more than 33 million persons per year, it is one of the most photographed sculpture in the World.